Instructor: Sacha Dunn of Common Good. Make your own cleaning products with Sacha Dunn, founder of Common Good. Sacha teaches you how to make your own cleaning products in this simple, beautiful class. You will make all-purpose cleaning spray and natural dish soap from a recipe using easily findable and accessible products. You may never have to buy cleaning products again! 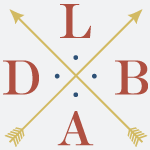 All materials are provided by LDBA. Takeaways: All purpose spray and dish soap in re-usable glass bottles.